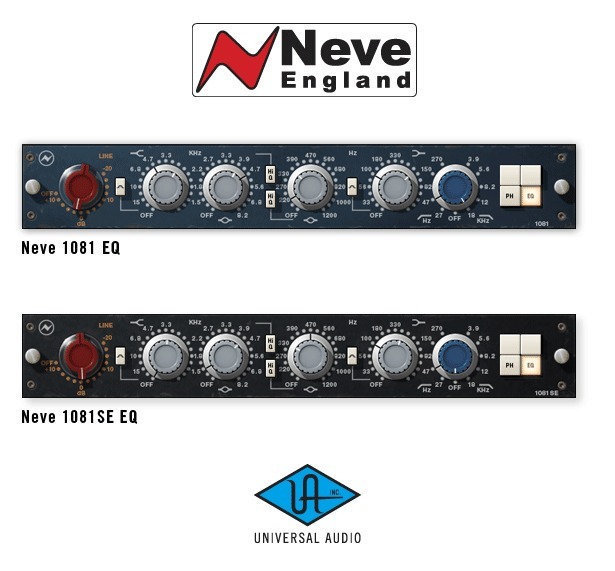 Neve 1081 EQ, Software graphic EQ from Universal Audio in the UAD Plug-In series. I wasn't involved with the installation process with the Universal Audio Neve 1081 EQ plug-in as it was already installed on the machine that I have used it on. I haven't had any problems with it in the time that I have used it as it has worked flawlessly. The interface of the software and straight forward, and even if you aren't familiar with the original hardware 1081 I think you'll be able figure out everything going on here. However, it would definitely help if you have used a Neve channel strip before as there is a basic Neve formula that this follows. I don't believe that the manual is necessary unless you are having installation or compatibility problems as everything is pretty self explanatory as far as the interface goes. I can't recall any times that I've had any performance issues with the Universal Audio Neve 1081 EQ plug-in. I have used the plug-in in a Pro Tools HD system with an Apple G5 and the plug-in has been nearly flawless in terms of how well it runs as I find myself being able to bring up as many of these as I would like in a single session. Of course this has a lot to do with the HD system that I am running it on and if you are running in an LE system, how well it runs depends on the computer you are running it on. In the year or so that I have been using the 1081 plug-in I haven't had a single issue with it and as long as you have a system that you can currently run some plug-ins on, I think you'll be able to run this without problems. 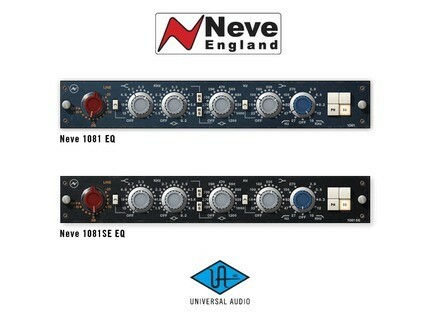 In terms of sound quality, the Universal Audio Neve 1081 EQ plug-in sounds great. It is one of the better EQ plug-ins that I have used in terms of tone, even if it more limited in terms of how many bands it has. I'll take this trade off because I find that I can still get the tones that I want out of it even if there aren't an endless amount of EQ bands. While no plug-in will ever match the hardware version in my opinion, this does as good of a job of emulating the 1081 as a plug-in can get. The price isn't unreasonable for a great plug-in like this one, and for this reason I would definitely recommend all studio owners looking for a great EQ plug-in to check it out. Anonymous 's review (This content has been automatically translated from French)" Excellent"
Little greedy with the SE version. and deleted all other plugins EQ on my computer. I use from time to time the Helios UA for its superb medium (elec guitar), the cambridge for surgical correction, the rest is the Neve or SSL channel depending on the mood. It's not for lack of trying hundreds of EQ software. Now it's Neve EQ or anything. The top on drums and vocals.